Utilising the data collected from our Sensors, we can and have delivered a personalised parking availability guidance app that can be downloaded free of charge from the Google Play Store (and soon to be available on Apple iTunes). 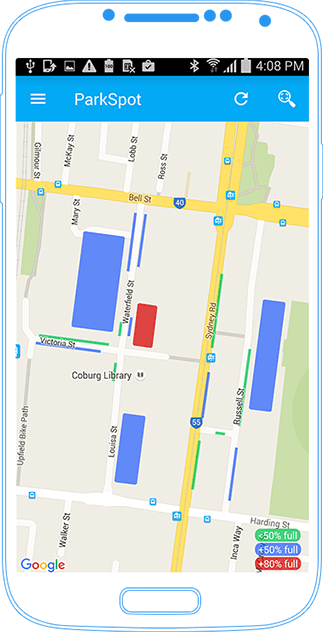 Our app shows real time parking availability within a defined area where Sensors are installed and supports both map and satellite views. 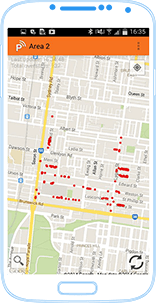 The app also supports time-based availability searches and can display the current status of Disability Parking spaces. We provide Sensor-based parking occupancy information to elegant, low streetscape impact electronic signage. The Server sends current occupancy information to the signs to display the number of available parking spaces in specific locations. 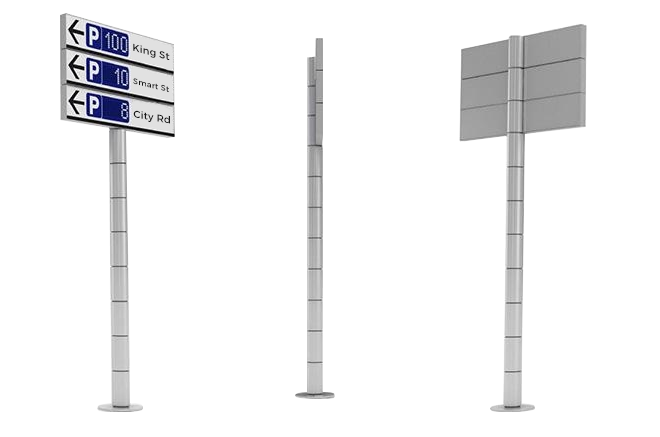 The signage system we supply is completely modular which means more panels can easily be added. These power efficient panels are an inexpensive option to help with planning and traffic congestion. Our ​sensor​ is now optimised for vehicle counting applications. Small numbers of sensors are installed in banks within the roadway’s asphalt wearing surface. A battery powered ​gateway​ is installed nearby. Count data is streamed from sensors to the gateway to the server where users can easily access aggregated data. This is a low-cost, low-impact and vandal-proof alternative to conventional vehicle counting systems such as loop detectors or pneumatic road tubes.